A spirited setting of Charles Wesley's classic text that incorporates limited but effective brass and organ accompaniment with tune Azmon. 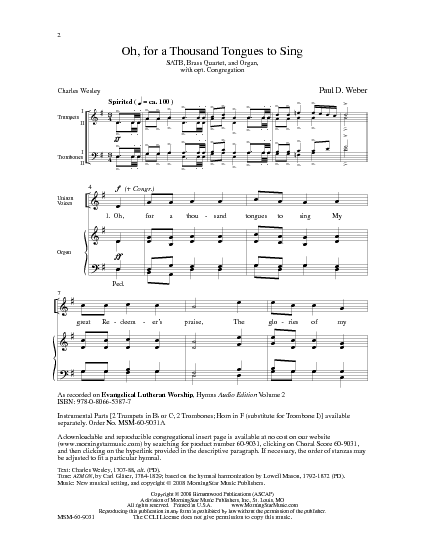 The choir parts are mostly unison with an easy SSATB stanza in a robust Sacred Harp style. 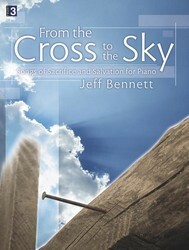 A barbershop-style cadence for the men and a graceful new melody for the women also appear. 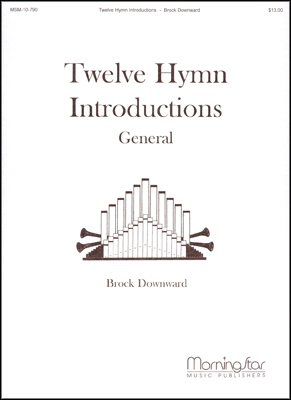 This setting was recorded on Evangelical Lutheran Worship, Hymns Audio Edition, Volume 2. 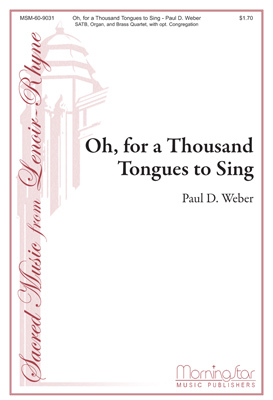 Part of the Lenoir-Rhyne Choral Series.